Starting a bakery, delivery service, or cooking blog? You should show your visitors those mouthwatering photos of your food, and what better way than with a stylish slider? 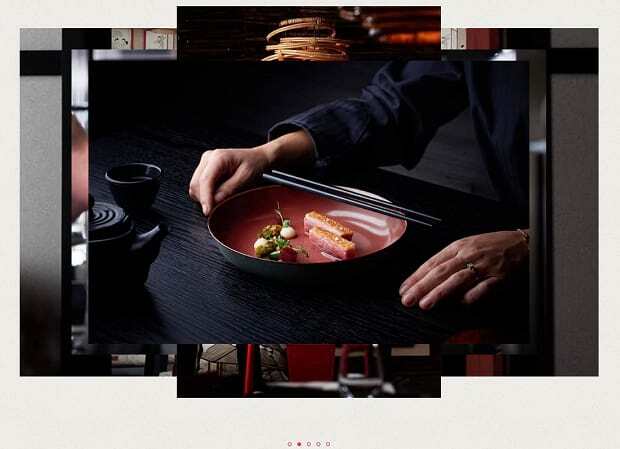 Let them browse your delicious creations to their heart’s content just by clicking an arrow or watching the slideshow! Not convinced? Check out these fantastic examples of food slideshows from the greatest cooks and bakers on the web! This website’s unique vintage style looks just splendid! The classical feel reminds one of a simpler time, while the bright colors draw attention to the products. 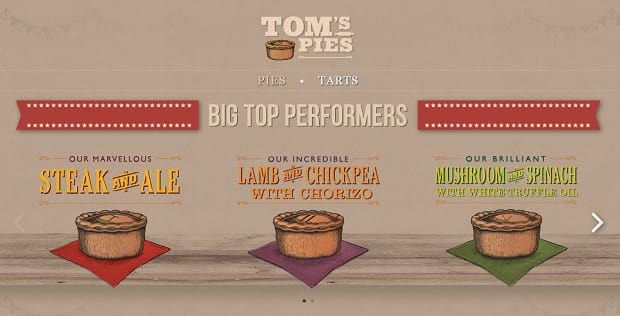 Besides a slider of top choices, the page also uses a gallery to display the whole range of pies available! A wonderfully quirky slider! The bright colors and bouncing animations are tastefully contrasted by the mouthwatering fullscreen video it opens with. This is a slider that was definitely designed with love and care! It’s the kind of slider you wish would never end, but the location picker showing you directions to the nearest restaurant is certainly the best way to do so. Elixir uses a stylish slider to show off its coffee products. You can take a look at each type of coffee and read a description below the slider! The arrows and CTA button matching the color of the logo is a small but elegant touch. This slider looks perfectly at home on Elixir’s website. Drip Pop’s fun animations are what really draw you in, and the slider just nails it. A quick scroll through some of these ice cream products and you’ll be scrambling to the supermarket. As each product slides in, another graphic pops up behind it. This is a carousel that feels great to navigate! Here’s something interesting! 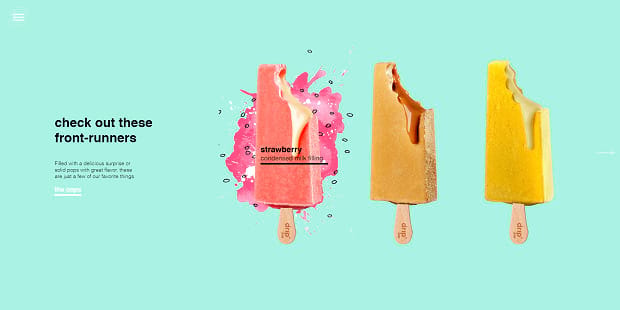 This carousel skips the animated fade-in, bringing you right to the photos of food. No call to action necessary — you’ll already be calling the restaurant! You can use the bullets or click right on the image to bring each photo to the front. It’s a surprising design, with the photos overlain on each other rather than appearing one-by-one, but one that works well and looks great! The main draws of this slider are the great animations, easy navigation, and charming aesthetic. Each frame slides in nicely, and you can either click on the image to see the product, grab the slider to move it, or click the arrows. The muted colors and almost washed-out look of the photos look great with this site’s design. And further in the website, you can find more, just as elegant product sliders showing off the products! The most compelling thing about this food slider is the layers to it! The tea slides in, the background text appears, and the body text pops up. The effect is pleasing both while it’s animating and after! 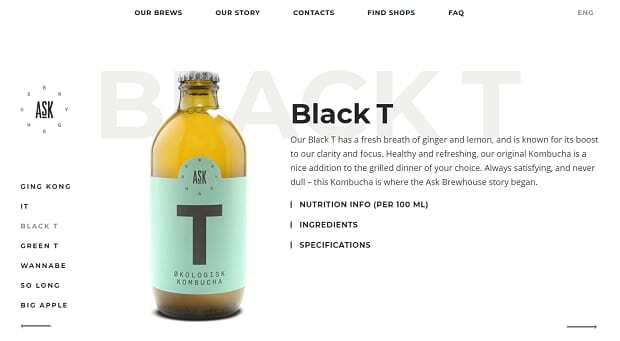 You can browse this slider, read a blurb about the products, and learn nutrition information about your favorites before you buy! Nothing’s nicer than a fullscreen slider with gorgeous photography. 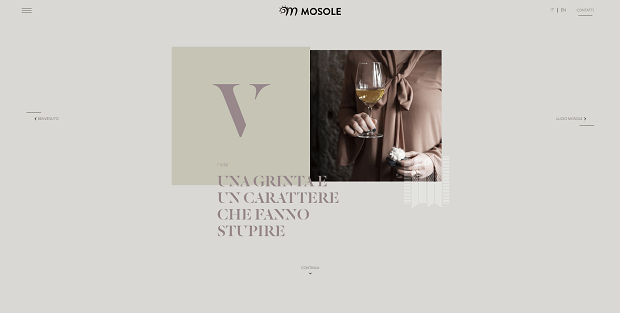 The traditional typeface lends well to the photos of grapes and wine, and the little animations keep things interesting. At the bottom is a timer so you won’t be surprised when the slide changes. This is simply a pleasant slideshow to observe! 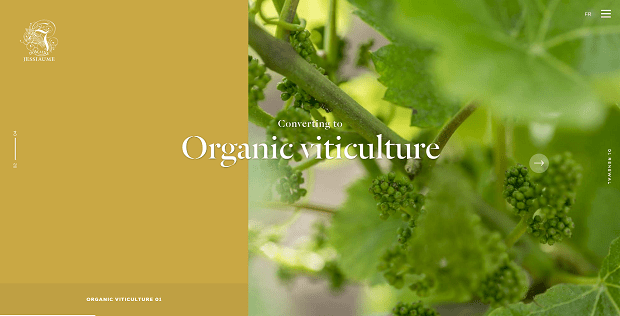 They also use a slider to show off wine products further down the page. 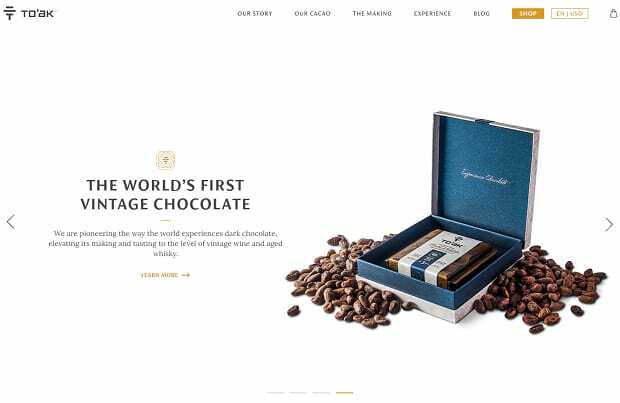 This transparent slider uses eye-catching images of cocoa to grab your eye. The elegant typeface and sprinklings of gold do the trick as well. All around this slider does everything right, combining fonts, images, and graphics together perfectly. These sliders were a treat to look at! Food photography is perfectly complemented by a big slideshow showing it off. If you want to browse some other stunning slider implementations, look no further than our showcases! For more slider showcases and WordPress tutorials, please follow us on Facebook and Twitter! Very good post for us.